Terri has been in full-time ministry for 30 years. She has served on college campuses in the US and internationally in Eastern Europe and the former Soviet Union having lived in Hungary and Russia. 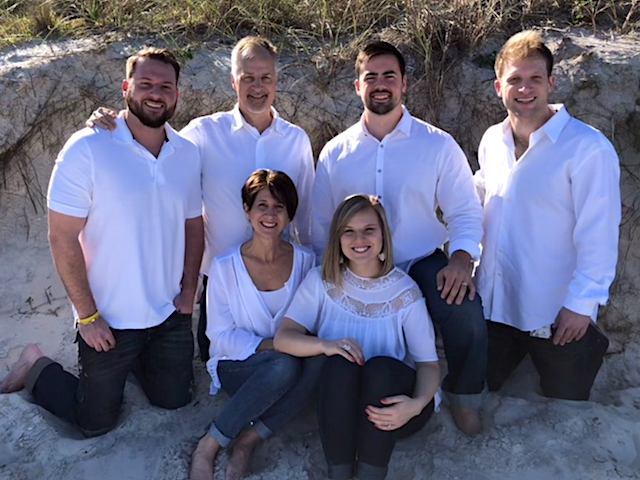 For the past nine years she has been a pastor’s wife, directed small groups ministry and led the women’s ministry at her church where she lives in Orlando, Florida. Now she directs the women’s ministry of Eurasia Partners Network and coaches pastors’ wives and women leaders of churches is Eurasia. I am a woman who loves beauty. I enjoy creating beauty in my home and I can’t get enough of blue skies, sunshine and the tropical foliage here in Florida where I live. Exercising, eating healthy and coffee with friends is of utmost importance to me. I have four young adult children all on their own journeys with God whom I love to serve and encourage to become all that God intends for them to be. Having transitioned to the empty nest, I am now enjoying a new season of professional life coaching and traveling with my husband as we coach church leaders in Eurasia. I love coming along-side women, believing in them, encouraging them and helping them to discover their unique design and calling. There is no greater reward to me than seeing women move through challenges, pursue their God-inspired dreams and live deeply satisfying lives. I also know that it is difficult to move forward in life without intentionality. Hence, I encourage women to live intentionally through reflecting, planning and choosing carefully next steps for their lives. I would love to walk along-side you and celebrate with you as you experience personal growth and live out God’s vision and purpose for your life! I adhere to the International Coaching Federation Code of Ethics regarding professional conduct, confidentiality, and conflicts of interest.